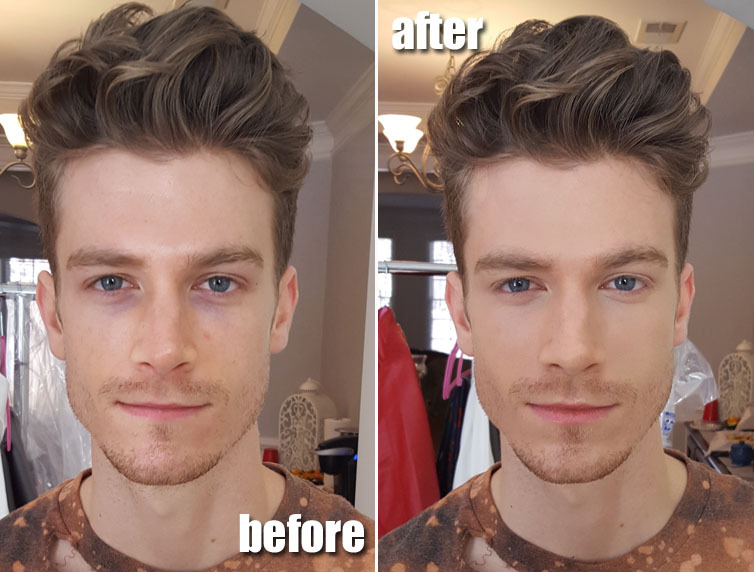 Some of my favorite makeup to do is male grooming. It's so quick and easy! There are definitely techniques to making guys look great without everyone knowing that they have makeup on lol. Check it out! My model is actually an actor getting new head shots. He has a little bit of redness on his cheeks and blue underneath and eyes. Color correctors to the rescue! I applied a light mix of foundation and moisturizer and then set with a face powder for a matte finish. Voila! 10 minutes and he's out of the chair. The before and after is subtle but still makes a big difference in pictures. Hope you enjoy! Product Review: Silisponge - Hype or Hate?